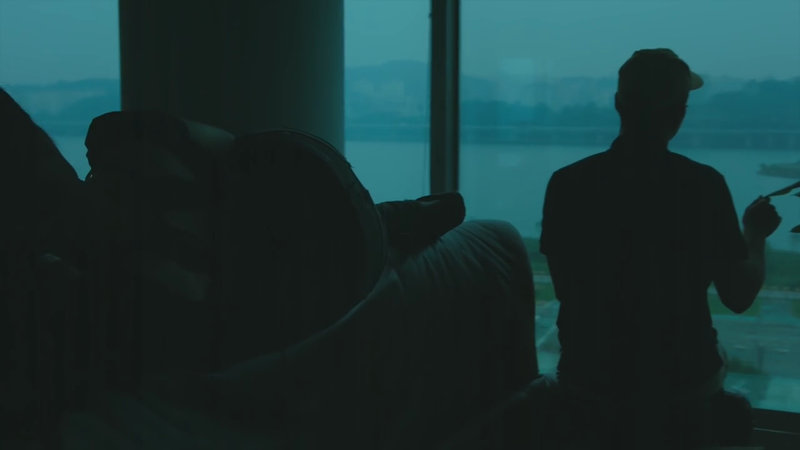 When I watched the video a few times I got the impression that there were definite elements of despondency due to the overall mood of the video, portrayed beautifully with the lighting. But I definitely needed the lyrics to help me out with understanding (which can be found here). So here goes, I get the impression that the story is about someone who is facing a difficult time in their life. It seems they have lost a love and with it the will to do anything. They feel dissociated and are practically pleading others to not tell them that it could be better from a different angle etc. This song, for me, is reminiscent of the feelings depression. But, after watching it several times and having OhHyuk sing to me and let the whole production envelop me, I grew to really like it. They represent the people that she is avoiding in her life, which is basically everyone. They also embody the feelings that the song is talking about. As she is closed off from that and doesn’t want it because she soon goes back into the bedroom, where it is very closed off and the lighting is significantly darker. It’s as though she sometimes has to come out of her “safe place” where she can forget about everything and be away from people, but is always willing and wanting to go back there. As well as the lighting, the video has a sort of grainy look to it, which I felt helped show the sort of haze and dissociated feel you can get when you are away from people and when you get wrapped up in your own feelings so strongly. This is a rather beautiful, artistic video and the more I watch it, the more I enjoy it. 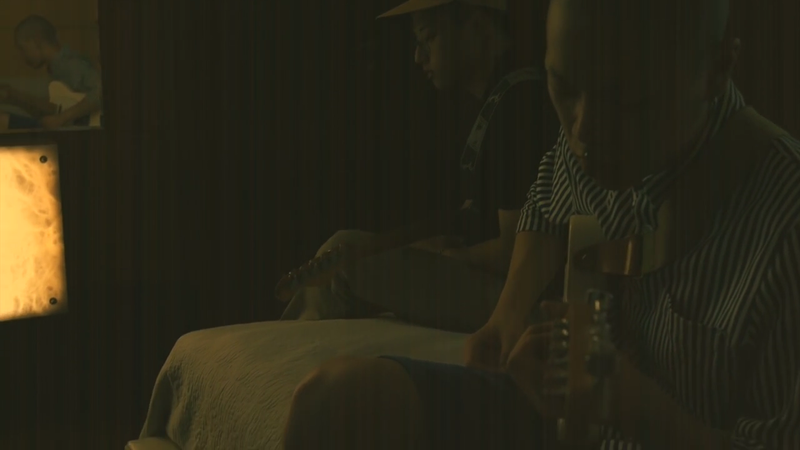 I first stumbled across Hyukoh from finding out they had been signed by Epik High’s Tablo for his new label HIGHGRND. Because I love Tablo, I checked this song out and it isn’t a sound I have really heard from the Korean music that I am used to hearing. OhHyuk has a beautiful, husky/raspy voice that, with the bands rather alternative, indie vibe works perfectly. I thought the instruments were played well and the music itself blended with the lyrics and video well. The lyrics are brutal. Even though the song sounds so beautiful and soothing, it still brings me to tears.